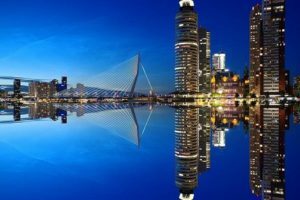 Rotterdam Incoming travel shows you the best spots of this amazing city! Rotterdam is the second city of Holland and has many different spots to explore. Discover one of the largest ports in Europe by boat, enjoy the amazing skyline and have lunch at the food market Markthal. 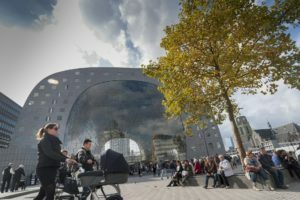 GO DutchTravel offers unique group travels to Rotterdam and Holland. Please contact us for a request. 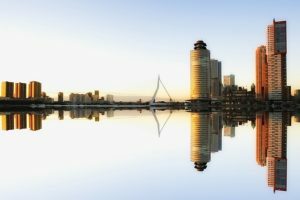 Rotterdam Incoming shows you the tours we offer, the city’s highlights and which hotels to spend the night! Check out some of our popular spots below. Are you looking for something else? Contact us and we create a tour especially for you! 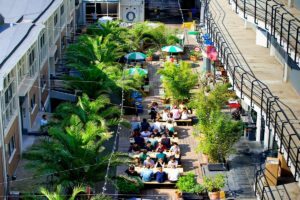 Have lunch at the Markthal, visit museums such as Kunsthal or hop on a boat to discover the port. Check out all the tours. 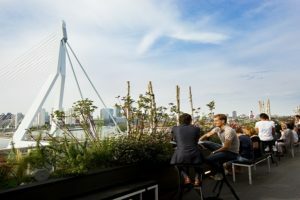 Discover Rotterdam by yourself and don’t miss any highlight of this beautiful city! Into culture or architecture? Wanna try local beer? Rotterdam offers many different hotels, the beautiful Hotel New York is one of our favourites. Contact us for the latest recommendations!